What are the Main Types of Tennis Rackets? Tennis rackets come in a variety of different types, styles, and models. If you are new to playing tennis, you may feel confused when it comes to choosing a racket. Some comparison among the different types of tennis rackets available may help you solidify a decision. There are three main types of tennis rackets. The first type, which is used primarily by advanced players, is known as the Player’s Racket or the Control Racket. The second type of racket is known as the Tweener Racket. The third type of tennis racket is known as the Power Racket. Many stores also sell a fourth type of tennis racket that is created for kids, known as Junior Tennis Rackets. In addition to the three main types of rackets, you will need to choose whether you want to purchase a racket that comes pre-strung or one that does not come strung. Most tennis rackets for beginners already come with the strings. One final consideration that you will want to keep in mind is that there are a variety of different makes and models when it comes to tennis rackets. Some of these manufactures are able to offer special warranties in case of damage, while others do not. If you do not have a preferred brand, below are some suggestions to help you think about the pros and cons of different tennis rackets which will help you compare your options. Most beginning players use a Power Racket. These rackets typically are light, have an oversized head, and have a stiff frame. The large frame makes it easier for players to hit the ball, since there is a wider space on the head. This means that you do not need to be as precise with your swing in order to hit the ball. However, these rackets come with less control. The Wilson Power and Comfort and the Head PWR Power Racket are two of the most popular rackets in this category. 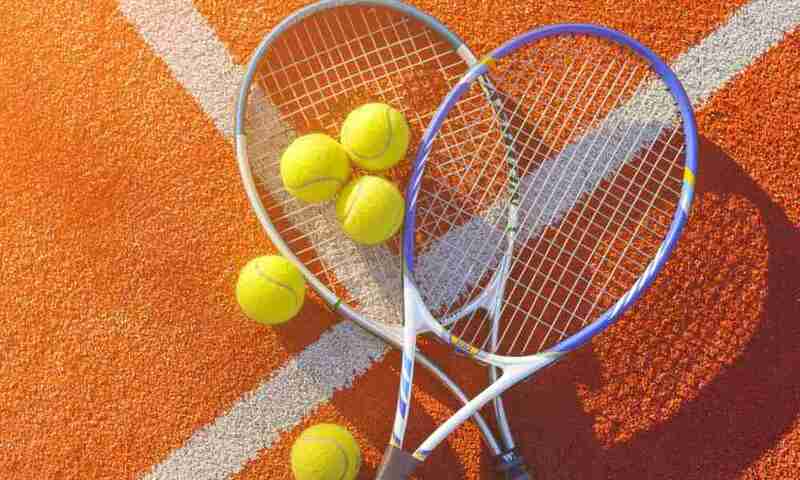 The Tweener Racket is the tennis racket that is in the middle of the high power rackets and the high control rackets. As such, they offer players a nice mix of both control and power. These rackets are ideal for intermediate players. In general, the head size is approximately one to four inches smaller than the power rackets. They also tend to have a stiff frame and weight a little more than the power rackets. Some of the most popular rackets in this category are the Prince Textreme Warrior Racket and the Wilson Burn Racket. The third type of tennis racket is mainly used by advanced players. It provides players with ultimate control but less power. In general, advanced players prefer the flexibility to maneuver their racket to their preferred location and they are able to hit the ball hard enough to supply their own power from their swing. In this type of racket, the head tends to be smallest and the rackets weigh the most out of all the previously described rackets. Some of the most popular rackets in this category include the Wilson Blade Range, the Head Speed Rackets, and the Wilson ProStaff Rackets. Junior tennis rackets are slightly different from adult tennis rackets. They vary widely in length in order to accommodate young players. For children who are six-years-old or younger, a racket between 19 inches to 21 inches in the preferred length. As children increase in age, the suggested length of the racket goes up about an inch for each additional year they age, until they reach a 26-inch racket. The Babolat Pure Areo Junior tennis racket and the Head Radical Junior Tennis Racket are two of the most popular choices in this category. Three main types of tennis rackets were reviewed. Additionally, a fourth category of tennis rackets that are designed specifically for children were discussed. Examples of some of the top tennis rackets in each of the four categories were reviewed. 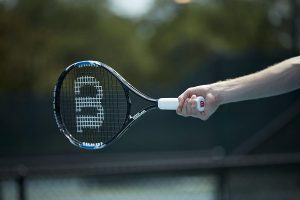 Additionally, considerations, such as whether the tennis racket is strung or not, are important when comparing tennis rackets since this will impact the overall cost of the racket.